A guide for submitting 3D print jobs. 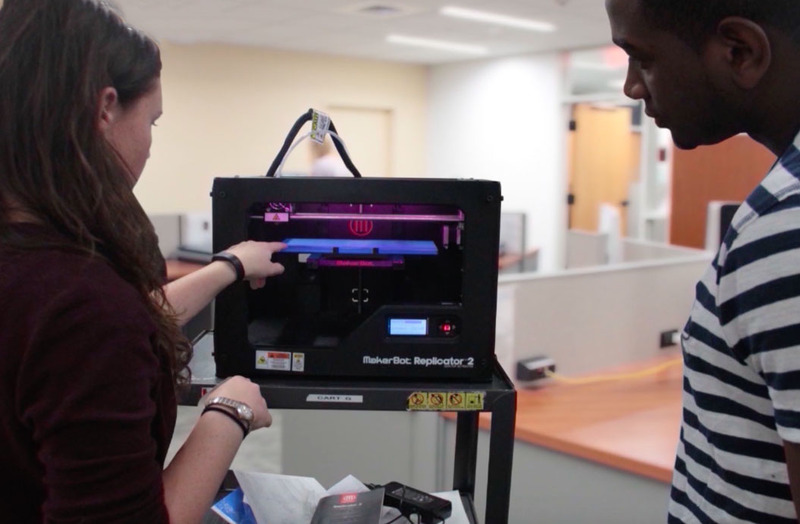 The Boston College Libraries' 3D printer is a Makerbot Replicator, and we use PLA filament which is made from biodegradable renewable resources. 3D printers work by heating up a thin thread of filament and extruding it onto a platform. The object is slowly built up, layer by layer, from the bottom to the top. Due to the slow building nature of the process, please expect multiple days of processing time before you receive your object. A more precise time estimate will be made after you submit your project. At this time, there is no fee for our 3D printing service. Please read the following policy prior to submitting your 3D print request. Please contact us if you have any questions regarding the policy. Prohibited by local, state, or federal law as well as Boston College and University Libraries' policies. Please note that the library reserves the right to not print any materials that are deemed inappropriate.